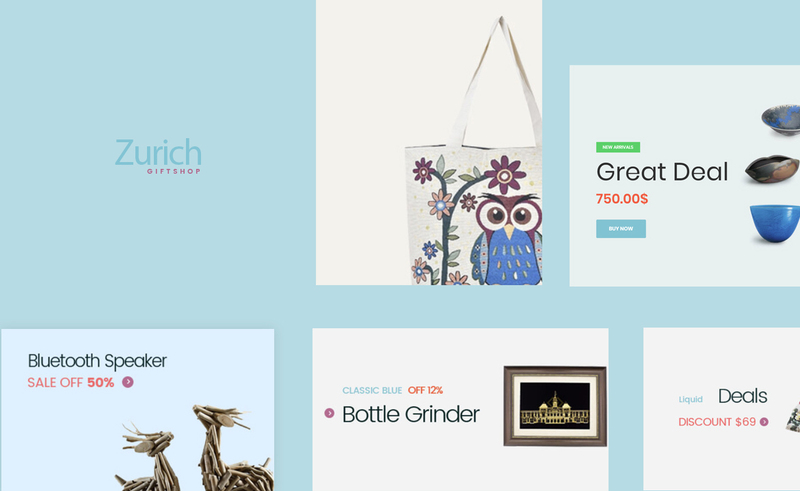 Leo Zurich is a beautiful responsive Prestashop theme designed for online gifts and souvenirs stores. 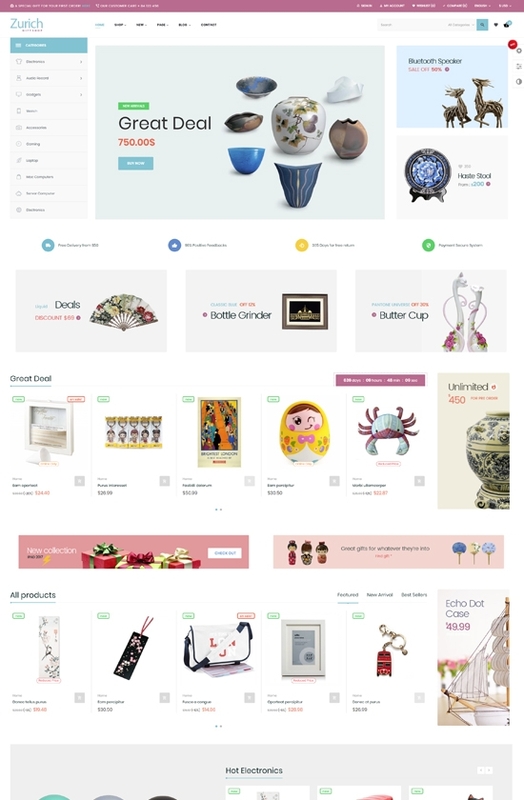 Therefore, if you are running a gifts and souvenirs shop and want to find a fresh and new look for your store, Leo Zurich will never be a theme that you want to miss. 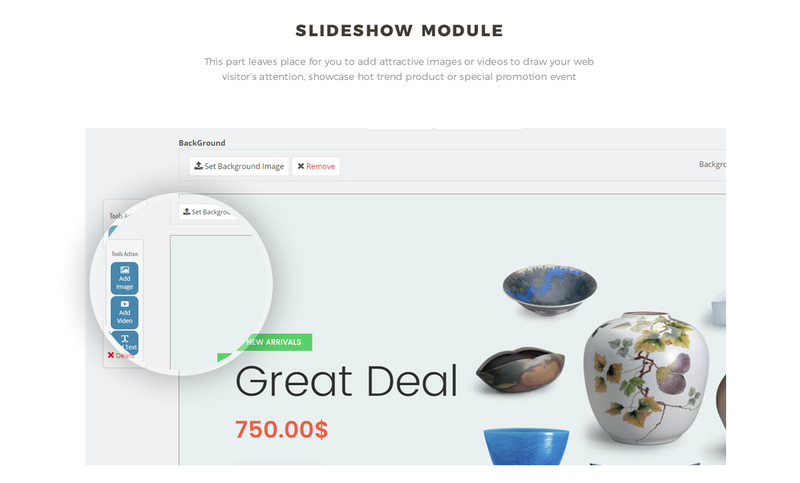 Both look and features are the highlights of this gifts and souvenirs theme. 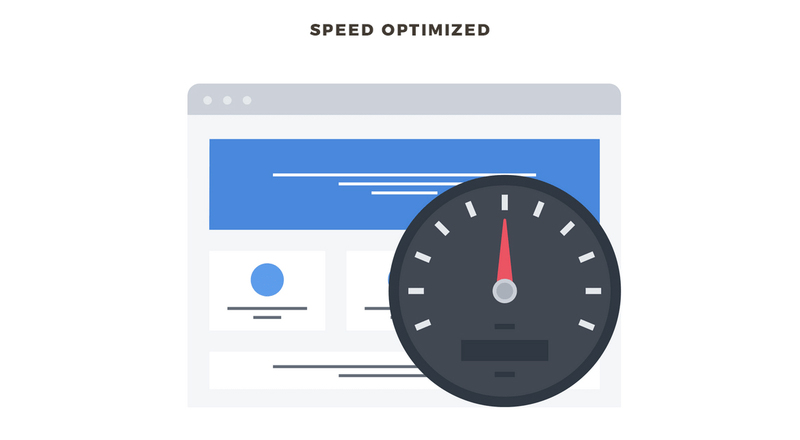 Leo Zurich not only owns a neat and well-structured layout design but also contains all necessary and advanced features that make an eCommerce website succeed. 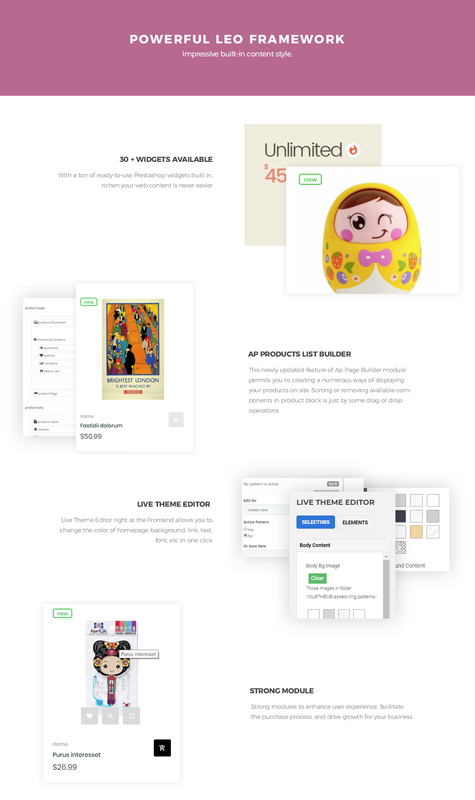 Leo Zurich is 100% responsive so it makes sure to be perfectly viewed and completely customizable on any screen sizes like desktop, tablet, laptop or mobile phone. 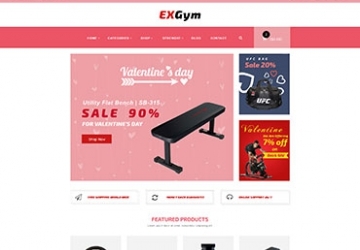 This responsive Prestashop theme for gift store is powerful not only because it is built on the wonderful Ap Pagebuilder module but also integrated with various Prestashop modules. 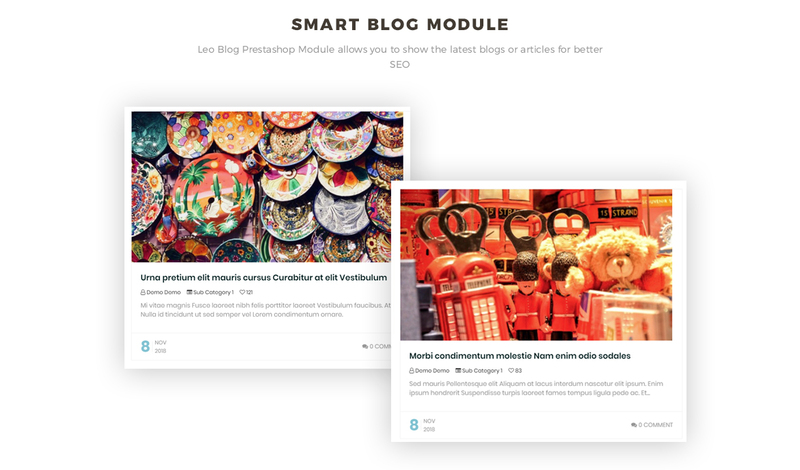 It is to mention the Leo Slideshow that allows you to show the hottest products to approach your web visitors. 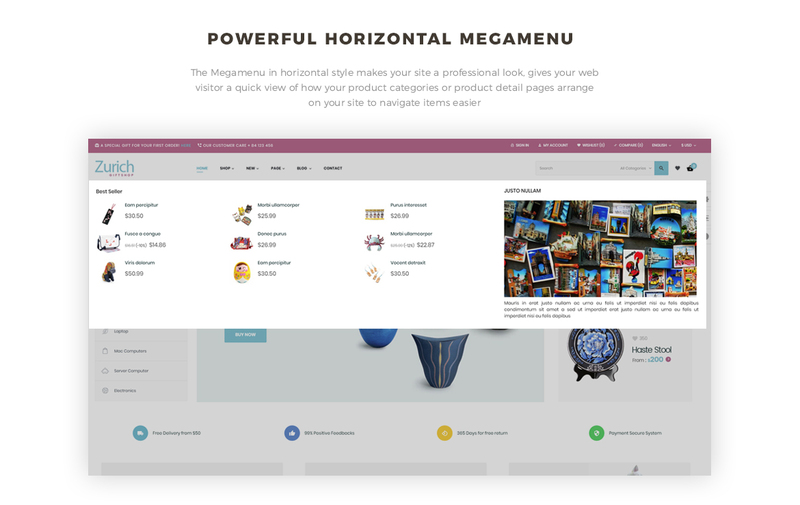 The megamenu in horizontal style to improve the navigation of your site, track your client to their wanted items in a second. 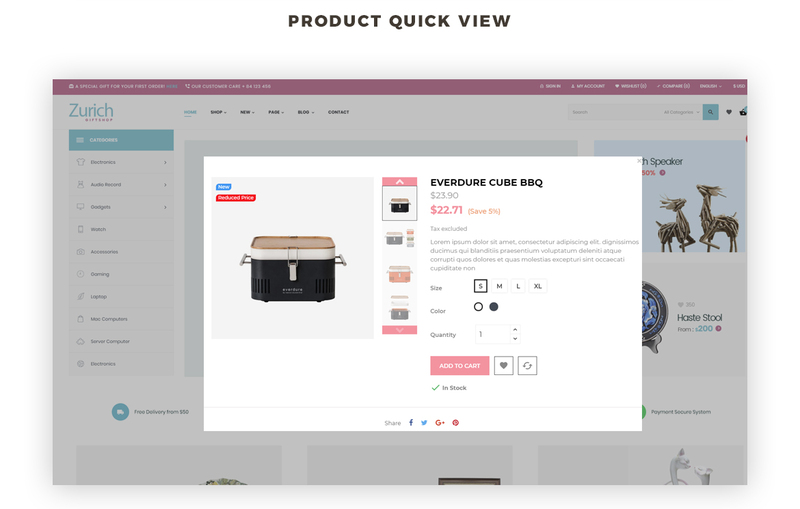 Furthermore, Leo Zurich with the presence of Leo Feature module with module feature Product Quickview, which permits your client to see the details of the items via a popup window without being navigated to the product details page. 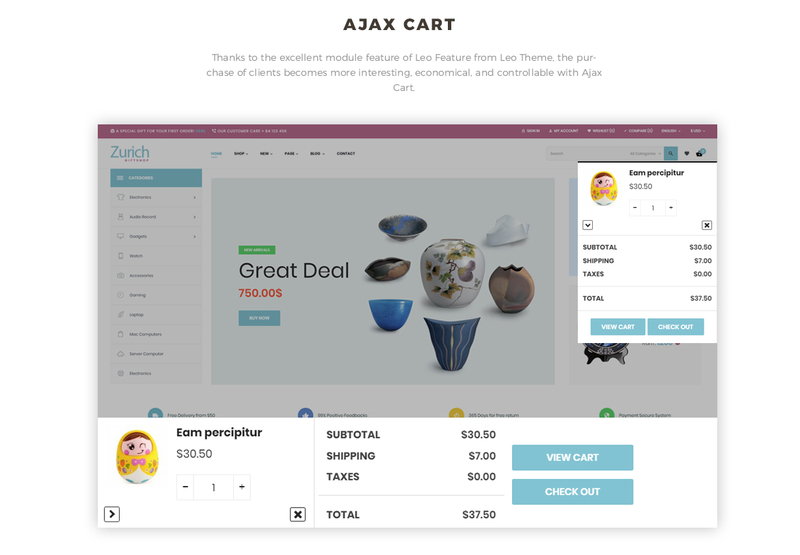 The purchase becomes more interesting with the Fly cart following you wherever you go on the page. 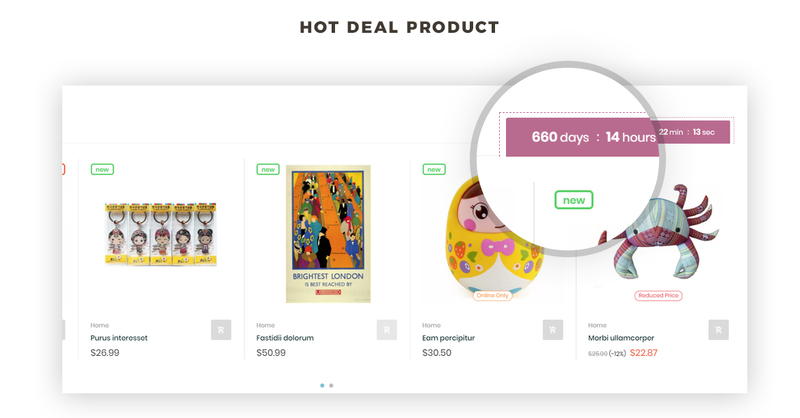 What is more, Leo Zurich is equipped with product tab, which makes it possible for your customers to see more products of many different categories right on the homepage. 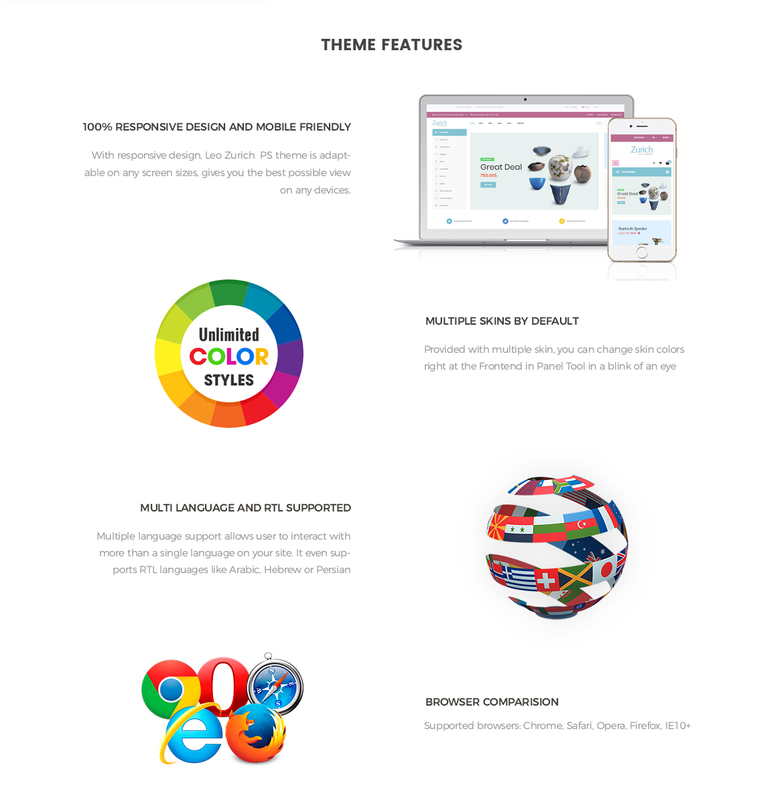 The whole page is integrated with wonderful features as Swipe, Animation and Owl Carousel, all of these elements give the whole theme a smooth sense. Let's try out the demo now. 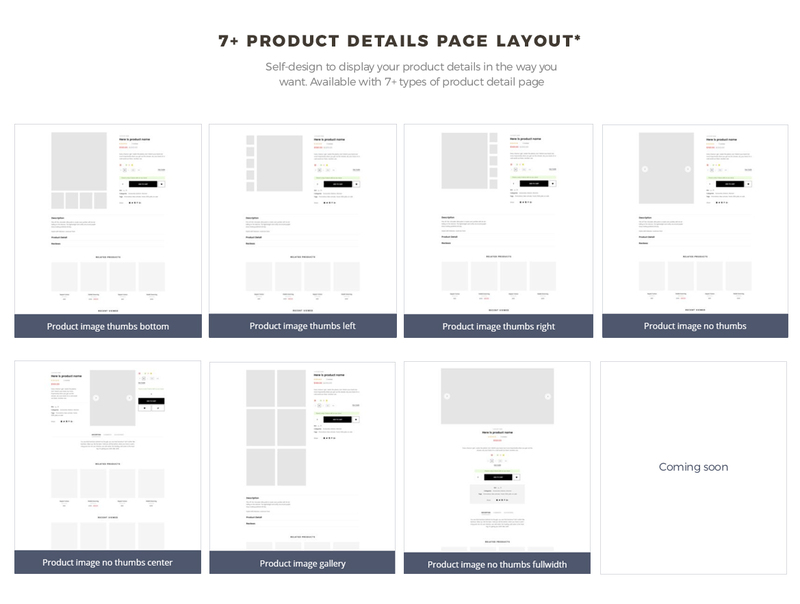 What makes Leo Zurich Responsive Prestashop Theme special?